Environmental Power Solutions is on the forefront with technology that will bring innovation and inspiration to the demanding and fast growing arena of clean generator power. Our goal is to aid and encourage industries to join us as we ecologically raise the bar without sacrificing the core need for power. 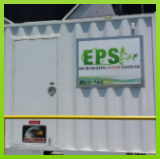 Environmental Power Solutions, LLC is a generator sales and leasing company specializing in 600kw eco-friendly generator systems. Our generators are diesel powered and are available for lease on a daily, weekly and monthly basis to West Coast cities. These generators are state-of-the-art and meet or exceed all of the current EPA and environmental standards. EPS’s goal will be to continue to improve our product and to be the leader in advancement within the industry for years to come. 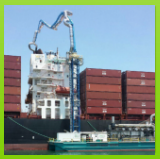 In addition to being diesel powered, each generator is sound attenuated, containerized and has an onboard fire suppression system. Each 600kw generator is mounted on a 20’ ISO truck chassis. They are equipped with “parallel switch gear” to group them together to be used in multiple configurations. For example, up to 8 of our generators paralleled provide a power plant up to 4.8 Mega Watts, and in theory these could be used as power for an entire small city. The 600kw generators are well beyond the size of those typically used in most construction situations and are leased primarily to large power users such as logistics facilities, Cities, Utilities, Military Facilities, Ports, Shopping Malls, the Film Industry, and other companies requiring large amounts of power. These generators can be used as prime power, standby, or in emergency power situations such as natural disasters. In California alone in the last 24 months, emergency response teams have fallen short of their power needs and were forced to pull dirty generators from Minnesota, Georgia and Florida. These same end users are the most environmentally conscious in the industry and are all now tied to leasing units which are high polluting. In recent months the Port of Los Angeles and the California Air Resources Board (“CARB”) have increased the pollution standards for heavy equipment used in the ports. Currently, few, if any, generators used will meet these new standards in Southern California. Most of the diesel engine manufacturers cannot meet the current state standards for their engines without expensive modification or retrofitting. The EPS generators are powered by large state-of-the-art Volvo engines. The Volvo engine is one of the only engines manufactured to meet these current standards. We have added additional proprietary equipment to further reduce emissions well below CARB standard levels. These units are very mobile and from our location in Southern California and they can be delivered to most cities in the West in less than 36 hours. Our market area reaches from Canada to Mexico and California to Colorado. 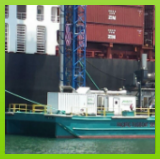 Commitment to being the only green diesel generator leasing company is paramount to the goals of the company. EPS is committed to investing in long-term research and development of generator equipment that will continue to set the standard for low carbon, NOX, and CO2 emissions. Its VOLVO Tier 4i compliant genpac with state of the art Urea Injection and SRC exhaust system provides an exceptionally eco-friendly standard and starting point for customization by our manufacturer. Extremely clean power under any loads for voltage/frequency sensitive applications. Electronic governor and voltage regulator holds frequency to 0.1% and voltage to 1%. Call Us Today to learn more about our top quality Clean Diesel Generators. Whether you need a short or long term lease, or are looking to purchase we will meet your needs and exceed your expectations. We pride ourselves on staying ahead of the curve with the latest technology. Whether your needs are in the USA or abroad, we can deliver. At a conversation friendly 68dB at 25 feet, this custom sound attenuated generator is designed to consider noise pollution too. Elements in the design include sound baffles; critical exhaust silencer; oversized radiator with slow-speed high efficiency fan; two layers of acoustical insulation designed for generator silencing; engine mounting isolators to eliminate vibration and sound transfer.